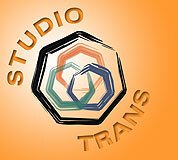 Studio Trans began in April of 1996 with the idea of providing quality, interactive multimedia Websites and Web Hosting Services to small businesses at an affordable price. By 1998, our specialty had evolved into developing Websites that connected to databases with customized search interfaces. During these years and the years leading up to the present, we worked for a diverse group of clients. Our bread and butter was finding workable, cost effective solutions to the problems, creative and technical, that our clients brought us. We observed that, while there were many companies claiming to provide e-commerce solutions for small businesses, no one was providing the functionality that most businesses would actually require to deploy and maintain a truly e-commerce enabled Web presence. This fact made it virtually impossible for the small businessperson, without a corporate budget, to take full advantage of the available resources of the World Wide Web to positively impact the functioning and performance of their business. Out of these years of experience, we've distilled the essence of what has worked for our clients, and their customers, with a design philosophy and an assemblage of functionality that has proven effective in solving the vast majority of problems the small businessperson can expect to encounter when developing and deploying an e-commerce enabled Website for their business. Studio Trans has developed an application with almost universal applicability and seamless integration that any sized business can take advantage of. This application is hosted from our secure facility, using industrial strength Web Servers with redundant OC3 connections to the Internet and stand-by diesel generators for power back-up. It is available as a service and priced starting at just $35 per month (+ nominal set-up fee). This includes all the functionality necessary for the small businessperson to operate a true e-commerce Website.